Why get business property insurance? It is not compulsory to get business property insurance but no matter how bleak the economic climate or funds in the company coffers are looking, it would very naive for business owners to neglect purchasing it. There are number of reasons why business property insurance is an extremely worthwhile purchase for even the smallest of companies. Even the most successful of businesses are at severe risk of going bust in an instant should they attempt to do without it. This article explores the multitude of reasons why investing in business property insurance should be one of the first purchases on a company's agenda. Business property insurance works in a very similar manner to home and contents insurance except it can cover offices, shops and factories as well as local properties. The main reason why business owners purchase business property insurance is to prevent against a natural disaster such as a fire, flood or explosion resulting in a complete loss of property and stock. Business property insurance will reimburse business owners the exact value of property lost or damaged in a disaster. 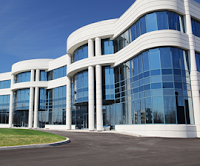 Why buy business property insurance? Although the likelihood of natural disasters is much lower in the UK than it is in other parts of the world, many business owners enjoy having the peace of mind that their possessions will be protected if the unlikely was to happen. Many business property insurance policies will also protect against threats like vandalism, theft or collisions which are more likely to occur. Common add-ons to policies include 24-hour helplines, access to locksmiths or legal protection as well as emergency call out services for problems such as burst pipes, gas leaks, electric hazards or serious roof damage. Any business owners who opt against taking out business property insurance will have to deal with all these problems themselves.